Not often can a manager turn around the fate of an entire franchise. 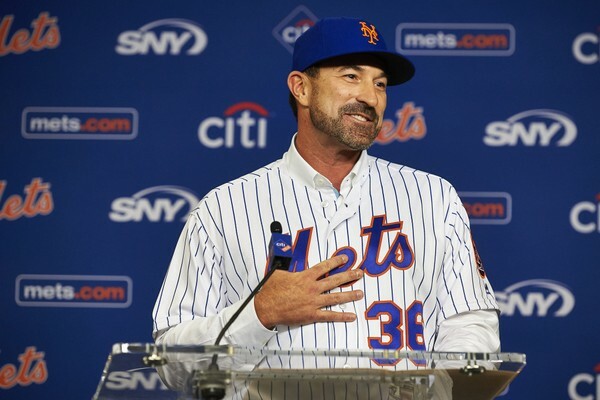 This past offseason the New York Mets closed the door on the Terry Collins era and penciled in former Indians Pitching Coach, Mickey Callaway, as their new manager. And let me tell you, as a long suffering Mets fan, this was by far one of the best moves they’ve made in such a long time only rivaled by the Yoenis Cespedes trade that fueled an eventual World Series run. For practically the past 55 years, the Mets have been plagued by bad luck, injuries, and poor management which have literally sabotaged countless amounts of promising teams. For once, this incompetent franchise FINALLY realized changes needed to be made and had a very productive offseason. Now, this Mets team enters 2018 with a new goal; to change the fate of the past. And Callaway is the perfect guy to lead such a quest. First of all, this is a perfect match for both sides, and a recipe for better results. The Mets are known league wide for their massive potential at the pitching department, and Callaway – a man who enjoyed much success with his pitchers in Cleveland – is the guy to bring the Mets hurlers back to life. Second of all, in this new era of baseball fueled by analytics and modern technology, the Mets made the right move switching from a very traditional style in Collins that was no longer effective today, to Callaway’s modern approach to the game. This man is absolutely committed to bringing the life back into this team and wants nothing more than to elapse the other team in the Big Apple hogging all the headlines. Mickey has a rare passion for the game, an incredible baseball mind, and a will to win – and this is exactly what the Mets need to succeed in 2018. It’s not going to be Noah, Jacob, Matt, Amed, Mike or Yo… Mickey is the savior, folks.